2. SUNSHINE on my back deck. 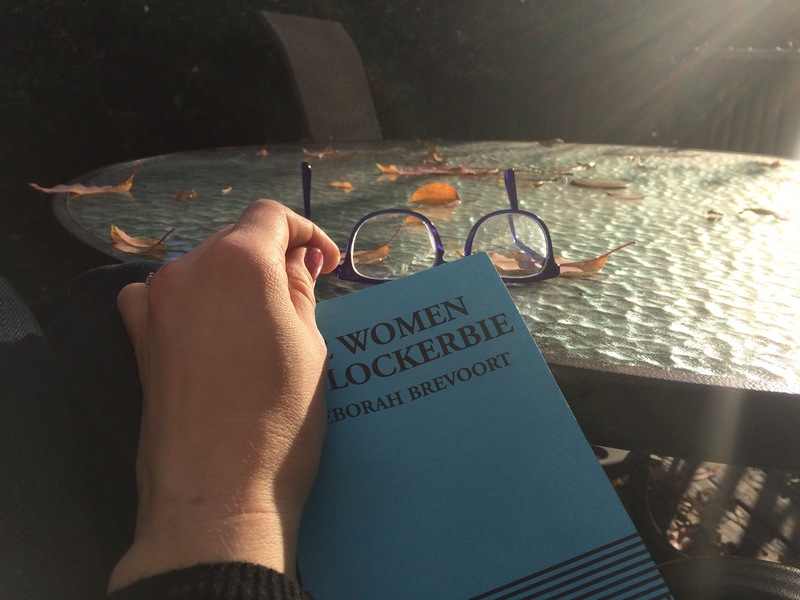 The Women of Lockerbie was written by Deborah Brevoort, inspired by the crash of Pan Am flight 103 in Lockerbie, Scotland, on 21 December, 1988. As Brevoort advises in the first pages of the script for actors, “A word about emotion in this play: it needs to be carefully controlled. If the actors emote, the audience won’t. So, keep the emotion of the play reined in.” Using the form of a Greek tragedy, Brevoort communicates deep truths about grief, love, hatred, and healing; more than a few of my group were unexpectedly searching for tissues by the end (and it was one of Trinity’s own Vernon Scholars who directed the play at USC!). 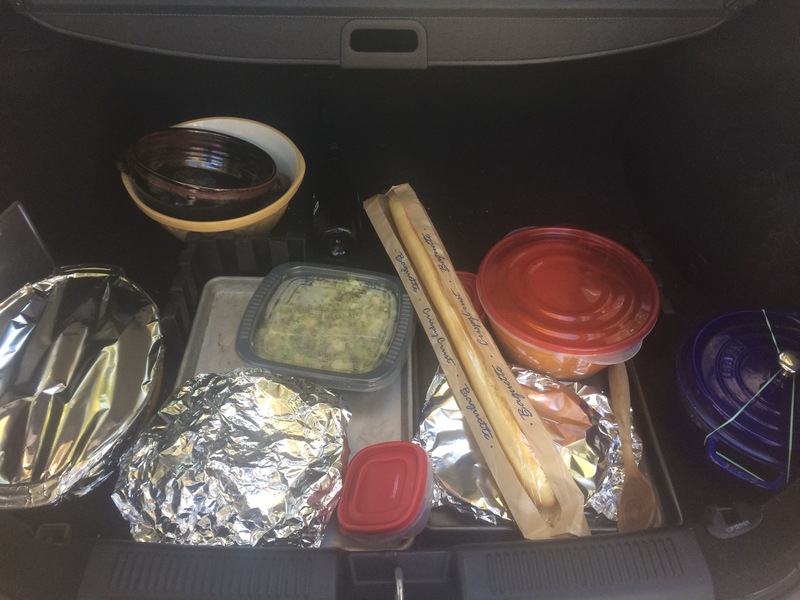 Not actually catering–is it catering if you eat it yourself?–but cooking up a ton of food and trucking is down the road for the Thanksgiving Day celebration. 4. 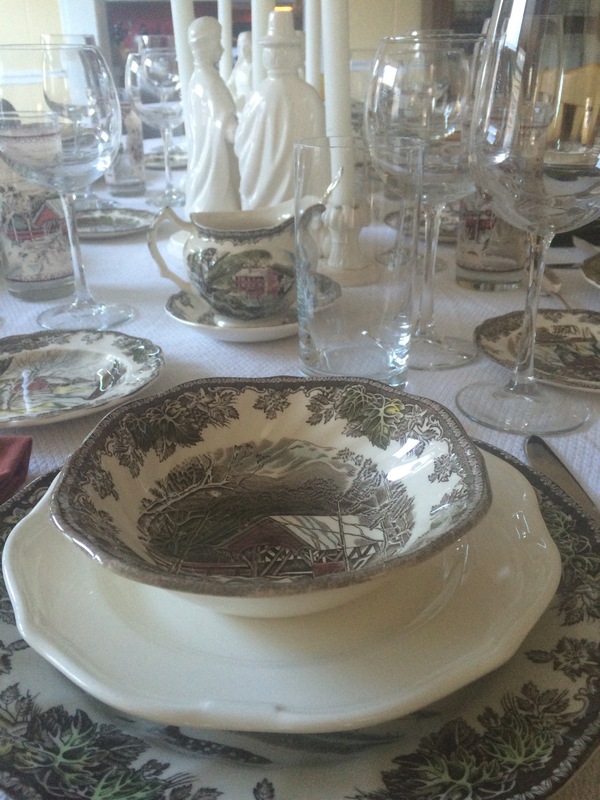 Eating Thanksgiving Dinner on Friendly Village dishware. Every Christmas growing up, my mom would set out Friendly Village, and now, though my work keeps me from being home with them on Christmas, it still means “holiday” to me! Super-fond memories, the even, this past Thursday, the creation of great new ones. Where are you finding happiness this week? This entry was posted in happiness lists and tagged happiness list, recipes by Emily. Bookmark the permalink.